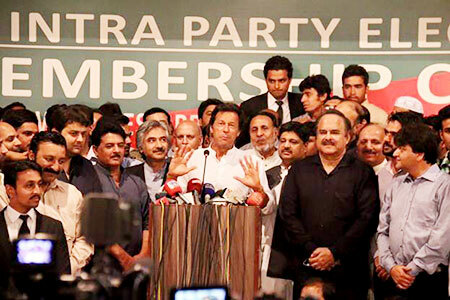 On April 11, 2016, PTI Chairman Imran Khan announced at a press conference in Islamabad that the party’s intra-party elections have been postponed in view of the circumstances created by the leaks of the Panama papers.1 As reported by the media, a meeting of the party’s Central Advisory Council had taken place on the same day after which it was decided that the elections would take place after the PTI had concluded its march onto Raiwind. The date for the march has not yet been announced, however, the purpose is to protest against the Prime Minister of Pakistan, Muhammad Nawaz Sharif’s family’s undeclared assets and offshore companies. All party activities pertaining to the intra-party elections of PTI have been stopped except for the membership campaign. 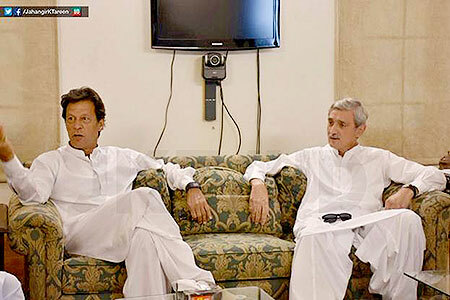 As per media reports, the party’s former organiser for Punjab, Chaudhry Muhammad Sarwar and lawyer Mr. Hamid Khan were of the opinion that the intra-party elections should not have been delayed despite all other party activities. Though it is important for a political party to stand united on various political fronts, delaying the intra-party elections for an indefinite period of time is an act against the spirit of democracy. Where the party had gone to great lengths and apparently succeeded in planning for the elections properly starting with the formation of an independent election commission, membership drives, trainings of election coordinators, formulation of an election procedure and the election schedule, wherein spirits were high and resources had been spent, postponement comes as a big blow to members and supporters of the party. If the intra-party election is postponed for a longer period, it may not be possible to hold it before the next General Election, as the country will enter the electioneering mode during the next year (2017). As per media reports, on April 22, 2016, the MQM has formed a nine-member committee to bring back those leaders and members who have joined the newly launched political party led by former Mayor Mr. Mustafa Kamal called Pak Sarzameen Party (PSP).4 The committee is being led by MQM’s Deputy Convenor Mr. Kaiful Wara and consists of the following names: Mr. Amin-ul-Haq, Mr. Ahmed Saleem Siddiqui, Ms. Zareen Majid, Mr. Abdul Haseeb, Mr. Iqbal Muqaddam, and Mr. Landhi Ismail Qureshi. Meanwhile, on April 25, 2016, Mr. Mustafa Kamal and other members of the PSP organised the party’s first public rally at the Bagh-e-Jinnah in Karachi.5 So far, the focus of PSP seems to be to lure in MQM leaders and members. It managed to execute an elaborate public gathering. 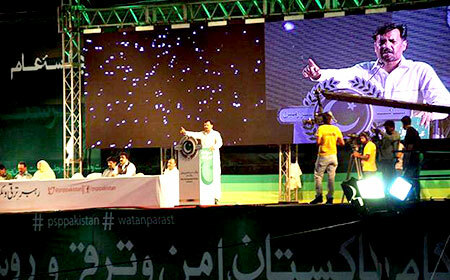 The PSP also organised a concert and a family festival at the venue just before the rally began. 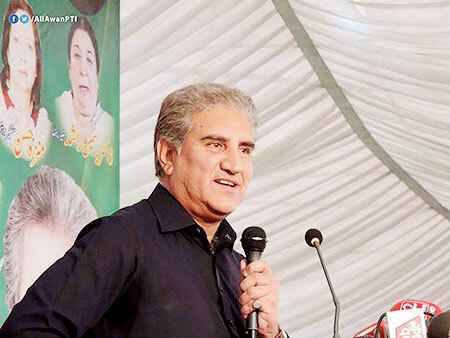 A ground-breaking amendment was made in the constitution of the Jamaat in October 2015 in which 10 seats were allocated for women in the party’s Majlis-e-Shura or Central Consultative Council. This was a strong break from tradition for the party, giving effective representation to women, that has come under the leadership of the current Amir of the Jamaat, Senator Siraj-ul-Haq. On April 26, 2016, the first meeting of the Shura in the presence of 10 elected women members took place for a 3-day sitting of the body.6 A total of 5000 women ‘Arakeen’ of the Jamaat elected these 10 female Shura members through secret balloting. 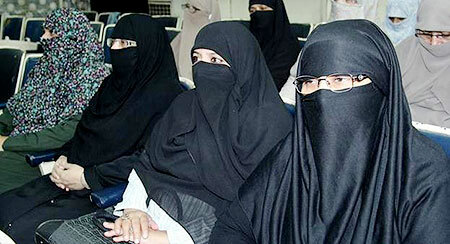 Arakeen are those members of the Jamaat who can exercise the right to vote in the party elections. It is a given fact that political parties are one of the most important platforms that determine women’s political participation. The active role of women establishes prospects of growth for a party at the national level. Through this positive measure taken by the Jamaat, it is hoped that the successful representation of women is not just apparent in a physical manner but also in the Jamaat’s various policies. It is only logical as a next step that the Jamaat should give representation to women in its Central Executive Committee (Majlis-e-Aamla) as well.